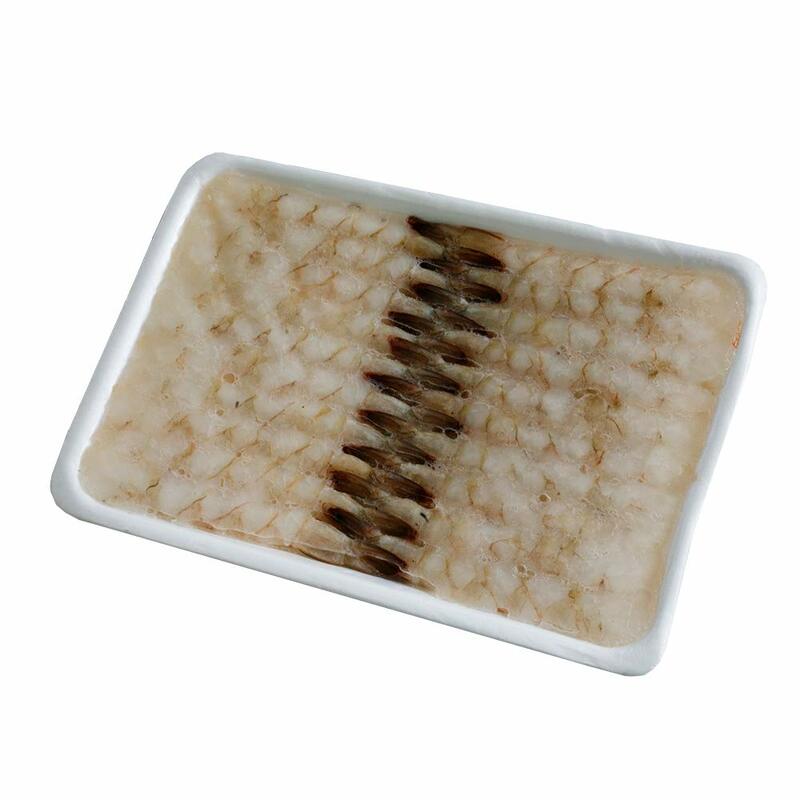 Nobashi Ebi are prawns that have been stretched, deveined and peeled, but the tail is left on. Similar to the Ami Ebi prawns, Nobashi Ebi also have a sweet flavour and firm texture. They are the perfect prawn to be dipped in batter or Panko breadcrumbs to make tempura. Nobashi Ebi are prawns that have been stretched, deveined and peeled, but the tail is left on. Similar to the Ami Ebi prawns, Nobashi Ebi also have a sweet flavour and firm texture. They are the perfect prawn to be dipped in batter or Panko breadcrumbs to make tempura – try making a an Ebi Tempura Soba. Buckwheat noodles served in a hot ramen soup, this can be made with miso or unami broth, with tempura ebi prawns on top! Season with spice to your taste – this is a deliciously warming meal to make using the amazing Nobashi prawns. Please note: the prawns are raw so must be cooked before eating. Try making a an Ebi Tempura Soba. Buckwheat noodles served in a hot ramen soup, this can be made with miso or unami broth, with tempura ebi prawns on top! Season with spice to your taste – this is a deliciously warming meal to make using the amazing Nobashi prawns.